Tb impart a smooth, crisp edge on a board, use a belt sander. 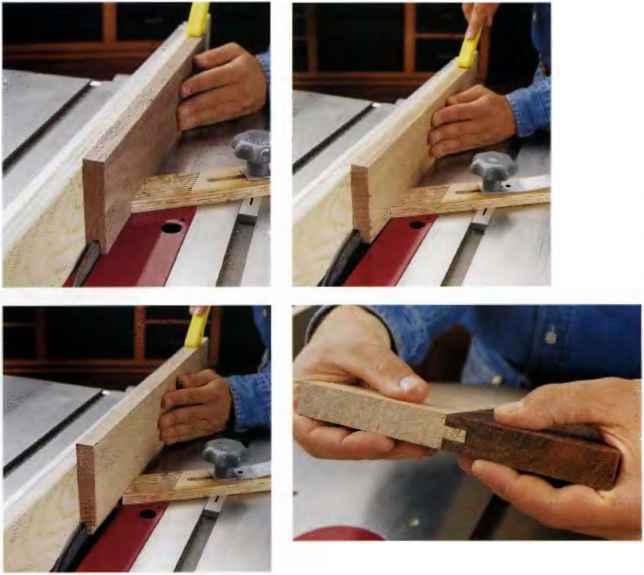 To prevent the sander from rocking and causing roundovers along the edge, sandwich the workpiece between two pieces of scrap wood, making sure all three edges are flush. Clamp the "sandwich" into the vise in your workbench. 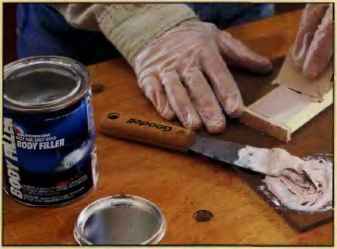 A lot of experienced woodworkers view sanding as a last resort. It's messy, noisy, time-consuming and it creates sanding marks. A cabinet scraper is a better tool for smoothing out rough cuts. It works equally well on curved surfaces, as above, or on broad, flat surfaces. sanding marks left by coarser grits. Sanding metai, plasties, ceramics and wet sanding. Sandpaper is difficult to tear in a straight line, and cutting it with scissors or a utility knife will dull blades very quickly. 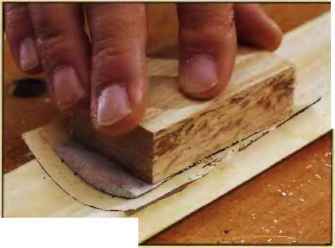 Build yourself a sandpaper cutter by attaching a hacksaw blade to a piece of scrap wood, with the sharp edge of the blade facing toward the edge of the board. Attach a strip of wood parallel to the blade. Position the strip so it's the same distance from the cutting edge of the blade as the most common dimension you'll need to fit your pad sander. Slip a piece of sandpaper underneath the blade and up against the strip. Pull upward against the blade for a neat cut. An expanding, accordion-style file holder makes a great storage center for sandpaper scraps. Assign a grit number to each storage compartment and file your sandpaper sheets in the appropriate compartment so they'll be easy to find when needed. 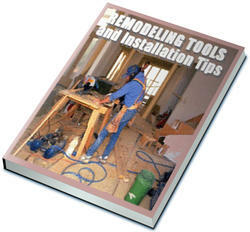 Assemble a team of sanders for your ■woodworking and carpentry projects. 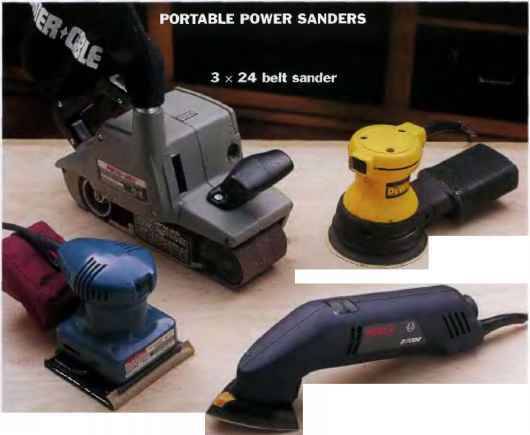 The most versatile sander is the random-orbit sander. 'The irregular sanding action of this tool keeps sanding marks to a minimum, and is suitable tor both rough sanding and fine finish sanding. Belt sanders can remove a lot of material in a hurry, making them useful for resurfacing as well as smoothing very rougb stock. A detail sander has a small, triangular pad that can get into those hard-to-reach spots. 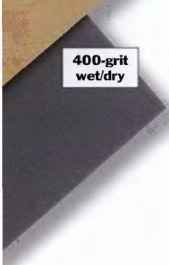 A 1M or 1/s sheet finishing sander does a fine job preparing surfaces for a finish, and is cheaper than a random-orbit sander. 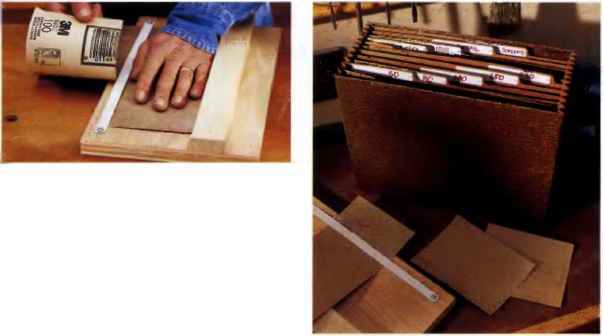 Fabricated sanding blocks have soft pads and are designed to be easy and comfortable to grip. 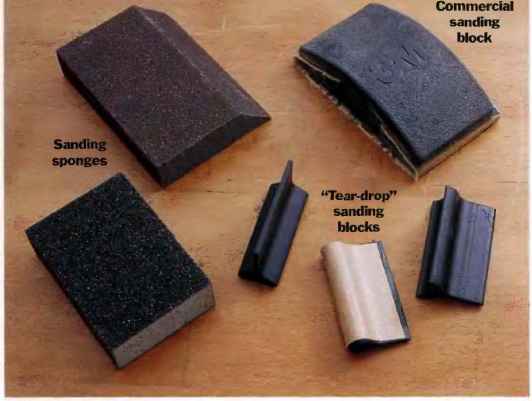 "Tear-drop* sanding blocks are made to fit the most common molding profiles. Sanding sponges can remove surprising amounts of material quickly and will conform to irregular surfaces. ICut a 4- to 6in. strip of the molding or trim you need to sand.Tacfc a smaii piece of scrap wood to each end of the molding strip to create "forms." Flii or cover the moiding with auto body fiiler, smoothing the filler so it's level with the tops of the forms. Let the fiiler dry according to the manufacturer's recommendations. 2 Remove the molded auto body fitter and hot-glue a bioch of wood to the fiat face to give the sanding block greater rigidity and durability. Wrap a piece of sandpaper around the shaped face and start sanding. Note: This technique aiso works with convex sanding profiles. Drum sander attachments for the drill press are terrific for smoothing curves and sanding interior cutouts, but they can make quite a mess. 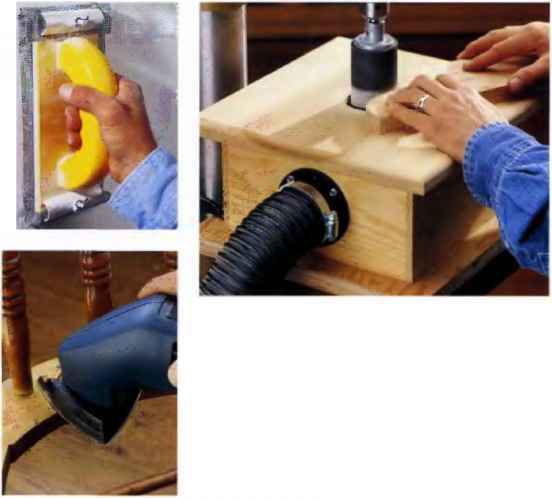 Keep sanding dust in check by building a dust collection box that's clamped to your drill press table. Make a cutout in the side of the box for a vacuum hose port, and another cutout on the top for the sanding drams to fit into. The top of the box also comes in handy as a sanding table.